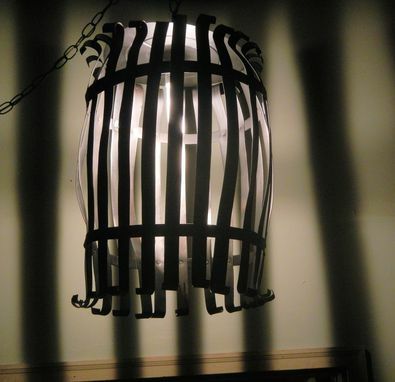 hanging stave barrel light made from steel and painted black. 12" diameter at ends, expanding to ~14" in middle and 24" tall. Not intended for outdoor use.